Most locals marry during the summer but foreigners all year round. 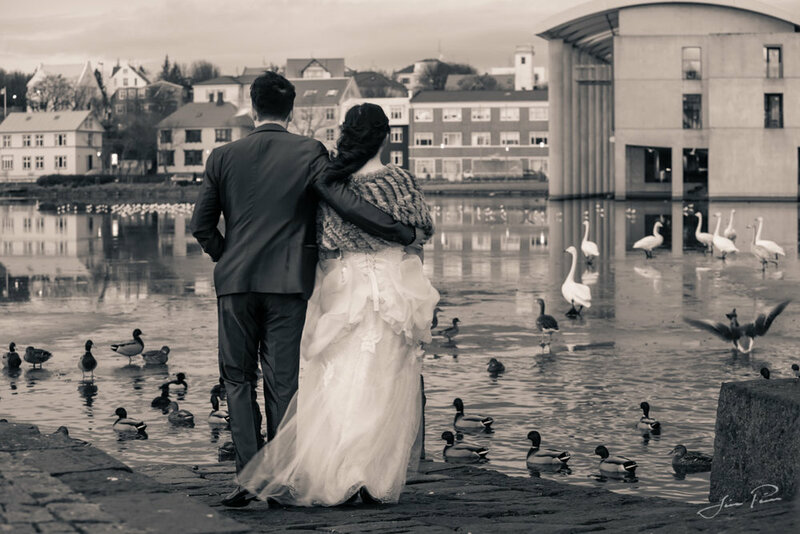 A moody day for a November marriage at the Reykjavik District Commissioner. I documented a bit of the preparation at their friends apartment. Then a few shots at the ceremony. We then went to an art sculpture by the ocean front, Sólfarið. It's name means "A vessel to the sun" and represent a mystical viking boat. We then headed downtown for a bit of the city. We ended up at a lighthouse by a nearby beach that's just 5 minute drive from downtown. It's actually in the city. A wonderful and romantic location.